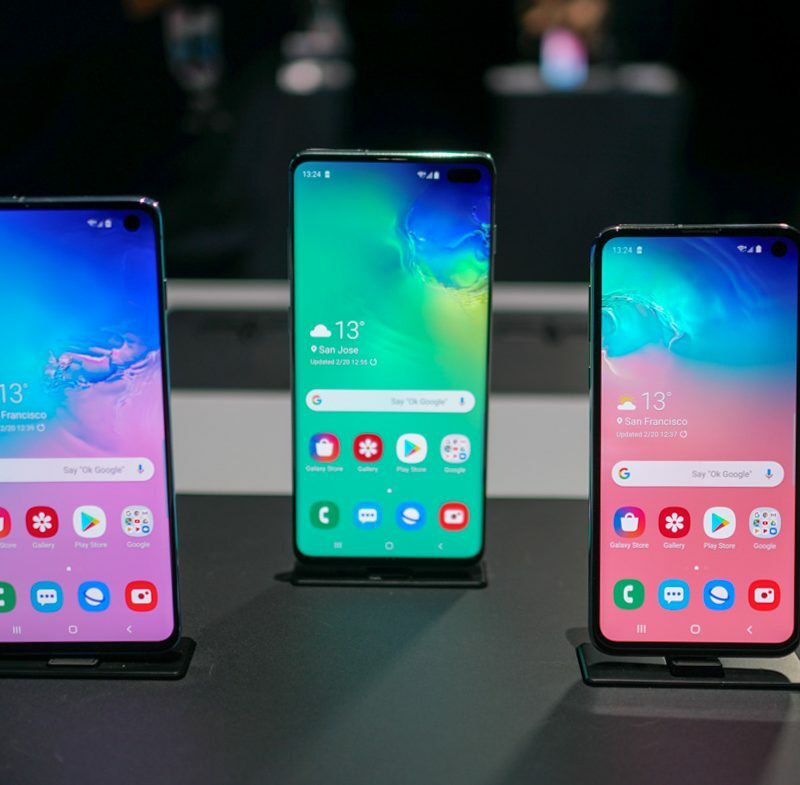 After all of the videos, feature highlights, and separate reviews, we still get asked by readers, “Which Galaxy S10 should I buy?” And I get why! There are three to choose from this year, all of which differ in very specific ways. 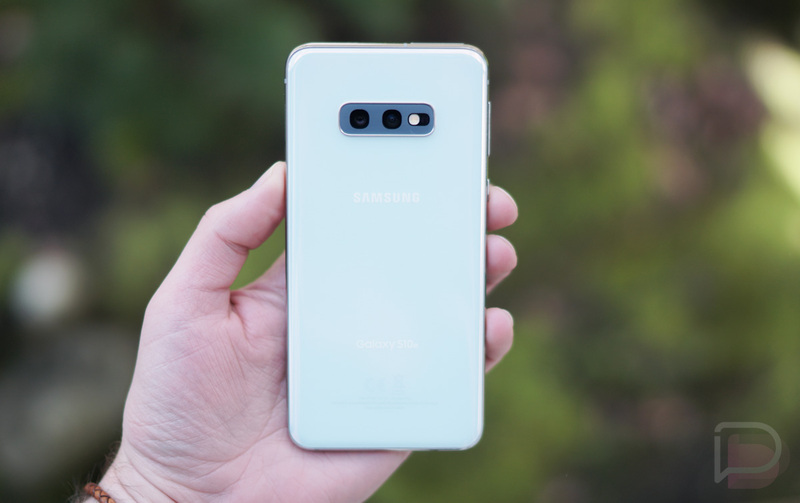 While the differences aren’t necessarily dramatic from one Galaxy S10 model to the next, they are worth factoring in when you decide the Galaxy S10 is the phone for you. So how do we help you make that final decision over which Galaxy S10 to buy? I think the best way is for both Tim and I to share why we chose the Galaxy S10 model that we did, because we went opposite routes. 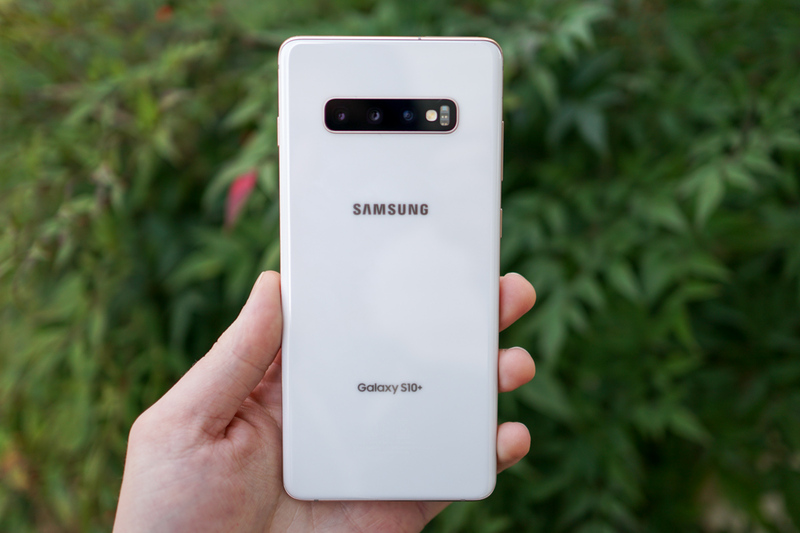 I picked the Galaxy S10e from the start and am fully satisfied with it, while he went Galaxy S10+ and feels similarly about his decision. Here are the reasons we picked the Galaxy S10 that we’re still using today. Moments after the Galaxy S10e (review) was announced and I got my hands on it, I knew it was the version I’d buy. All Samsung needed to show me was that it had made a smallish phone without their curved display – a display design I’ve grown to loathe – that didn’t lack necessary features. Because that’s really all the Galaxy S10e is. It’s the smallest Galaxy S10 without a curved display, yet has the good stuff you need in a 2019 phone. Now, it does lack the 3rd telephoto camera from the regular S10 and S10+, as well as the in-display fingerprint reader, the display tops out at 1080p, and you can’t quite crank up the RAM and storage like you can on those two, but the rest of the experience is almost identical. And if you want lots of storage and RAM, you can go up to 8GB RAM and 256GB storage, which is a hell of a setup. You still get a big beautiful AMOLED display (1080p), the Snapdragon 855 processor, fast wired and wireless charging with reverse wireless PowerShare, 802.11ax WiFi, IP68 water and dust resistance, and Android Pie with One UI. The dual rear camera features the variable aperture wide angle lens from the S10 and S10+, as well as the ultra-wide 16MP shooter, and you have a decent-sized 3100mAh battery for a smaller phone. Why were the missing 3rd rear camera and 1080p display not dealbreakers for me? Probably because I’m coming from the Pixel 3, which has a 1080p display, smaller form factor, and no telephoto lens. I love the Pixel 3 and what it offers, so the S10e is very similar to it, only with upgraded parts in some areas. That’s why I chose the Galaxy S10e. Kellen can claim that he’s happy with the Galaxy S10e, but I know that deep down, there are times where he’d much rather have this ceramic beast of a phone known as the Galaxy S10+ (review). For me, I want it all, which is why I’ve been a fan of Samsung’s Galaxy Note series for years. However, since I don’t ever use the Note’s S Pen, the Plus models of the Galaxy S phones have been ideal for me. And this Galaxy S10+? Yeah, I could easily make the argument that it’s Samsung’s best phone ever. Featuring every single spec you would need in 2019, and even some that you could say are overkill if you feel like spending the money, such as 12GB RAM and 1TB of storage, the Galaxy S10+ is the ultimate Android phone on the market right now. If you want a fast ultrasonic fingerprint reader, triple rear-facing camera setup that is viable in almost any shooting condition you might find yourself in, plus a very large battery (4,000mAh) that can also share its juice with other Qi-compatible devices (all Galaxy S10 models can do this), I would tell you to look no further than the Galaxy S10+. Or how about its display? The 6.4″ D-AMOLED QHD Infinity-O panel is gorgeous when consuming content and playing games, with insane amounts of contrast and color vibrance. This reminds me, I just made an entire video that highlights five reasons to buy this phone. You should watch it if you’re on the fence, but the bottom line is that I chose the Galaxy S10+ because it offers it all and then some.